Organizations that mostly deal and interact with clients or customers through their website, or email, should really consider leveraging a Live Chat solution. In short, with a Live Chat software solution integrated directly into your business’ website, users can reach out and get in touch with a sales or service representative at a moment’s notice. In a time when the customer experience is an incredibly important aspect of any business, Live Chat organizations meet customers where they are. For example, customers already browsing your website don’t want to have to pick up the phone and place a call, many might rather simply typing a quick message right from the page they are having a problem with. While some really powerful Live Chat solutions are locked behind paywalls, some of the best options that exist are completely free, in fact there exist a large number of options. 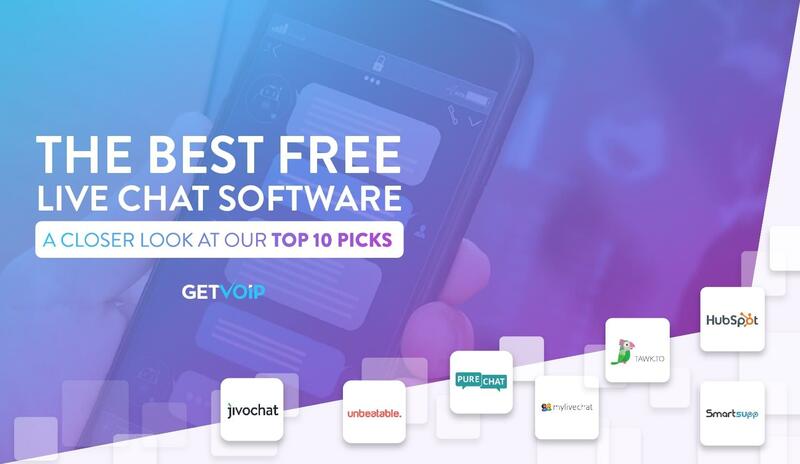 Even the smallest one-man operation can leverage the simplicity of a live chat platform for their customer support, and to help cut through all that clutter we put together a list of what we feel are the best top 10 free live chat solutions. At the end of the day, paid solutions will always provide more functionality without pesky limitations placed on the service. This is mostly due to the nature of a tiered pricing structure, and should be familiar to those making purchasing decisions already. What is important to note is that while free solutions can be limited in scope, different organizational priorities will lead different organizations to different solutions. When it comes to Live Chat solutions specifically, many free options offer unlimited chats, unlimited agents, and sometimes even unlimited websites or departments. This is the good news, enabling both small and large organizations to take advantage of free plans. These solutions usually cover the basic functionality necessary, as well — automatic chat triggers, chat notifications, chat history, and more. Users will often be limited to one support agent or representative at a time. Some solutions may only allow one concurrent chat per user at a time. Chat history will generally be limited by a time frame, which can be as short as two weeks or as long as three years. Advanced functionality, like intelligent chat bots and sometimes even more common features like automatic triggers or proactive chat will be missing. The core functionality is included, but the really strong features might be lacking. As I mentioned before, different providers will place different limitations on their free plans. One provider might limit their solution to one agent and one website, while providing chatbot access; and another might limit automatic triggers but enable multi-language support. The key is to find a solution that has trade-offs that fit into your organization’s priorities specifically. When it comes to live chat specifically, your business has a fairly large number of options. Within those options your organization will have a distinction to make, and prioritize based on this distinction. As UCaaS and other SaaS solutions have shifted towards a single, integrated experience, a large number of vendors have begun expanding their platforms to include new functionality — for example Nextiva’s NextOS is a UC platform, but includes live chat and other features. Just like anything in life, there is a trade-off here to recognize, as well. Live Chat solutions that are based on, or built into, a unique vendor platform — for example Hubspot, Zendesk and Zoho in this instance — will generally provide the best benefit for teams that are already or willing to utilize the other tools on that platform. On the flip side, standalone live chat solutions can provide organizations, especially smaller ones, with a complete (or almost complete) platform for little to no cost or resource investment. 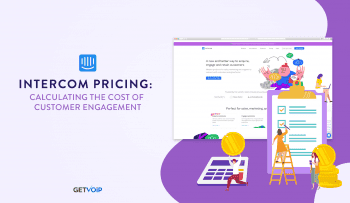 These solutions are generally hyper-focused and lightweight, enabling even a one-man business to drop the widget right onto their website and support clients. Live Chat solutions are slightly unique in that there is a large number of free options available. As we mentioned before, it is important to recognize that these providers offer their own distinct focus and strengths. For example, one vendor might lack in multi-language support, but offer strong trigger functionality. Your business must decide what a higher priority to determine the best fit is. Billed as 100% free live chat software for businesses, Pure Chat stays fairly true to its name. Being a standalone live chat solution, Pure Chat is just that, purely chat. For free, organizations can equip up to three agents with unlimited conversations. The platform will only support one website or mobile app, but offers full customization and a fairly impressive feature set with chat triggers, pre-chat information forms, and real-time visitor details. 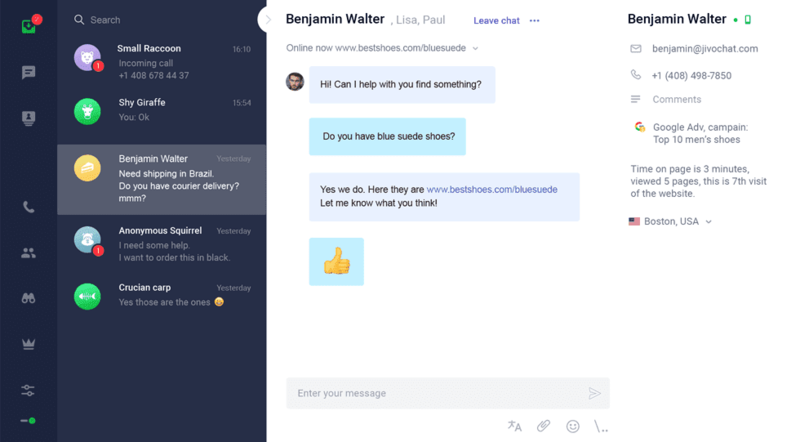 Pure Chat works really well for the SMB, and should be ideal for high traffic websites dealing with both sales and customer support. Agents gain access to a powerful dashboard, as well. Implementation is really quick as well, for example with just a few lines of code injected into your website. Overall, Pure Chat is a really simply, dedicated free Live Chat solution that works well for organizations. A completely free plan that enables organizations to equip three agents with unlimited messages. Other solutions limit users to one or two, and some even limit concurrent messages. Features themselves are not limited, for example users can setup as many automatic triggers as they need, and chat history is even unlimited. Pure Chat contains most of the features you would come to expect from a Live Chat solution, mostly just missing out built-in ticketing functionality, which can even be a benefit if your team already has a helpdesk or CRM solution. As another completely free standalone Live Chat solution, MyLiveChat also manages to pack in some great functionality. Unlike most competitors, MyLiveChat actually provides organizations with unlimited user or representative access, enabling any size department to really take advantage of the platform. However, at the same time, organizations are still limited to only one department or website. On the other hand, MyLiveChat limits their chat history to a three years, which is still more than enough compared to other options on the market. MyLiveChat of course includes the expected features. For example: customization options, canned responses, chat triggers, file sharing, and even targeted messages for a complete platform. MyLiveChat is an interesting competitor to other standalone solutions — with over 50k total accounts and 424k websites engaged. The platform also offers a great introduction to the MyLiveChat solution if your organization chooses to upgrade. Unlimited agent/user support, enabling any size business to take full advantage of the platform. In fact, MyLiveChat is one of the few standalone options without a user limit. With what MyLiveChat calls “asynchronous loading,” your website should not experience any slowdown or performance drop what-so-ever with the addition of live chat. SSL encryption keeps it secure, too. 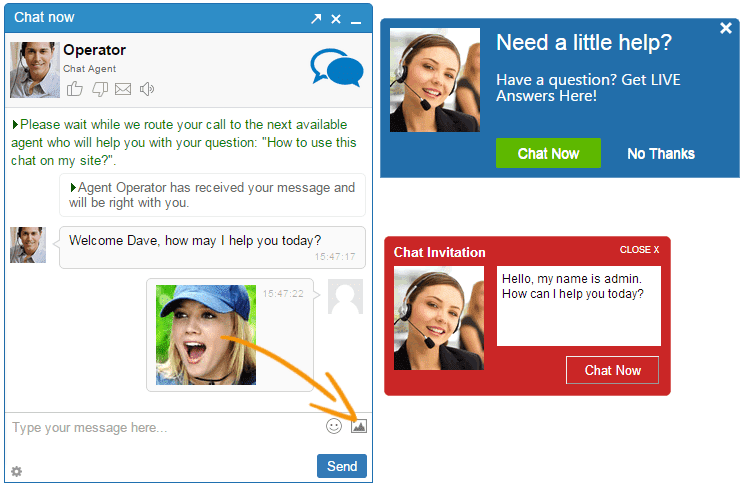 MyLiveChat is one of the few free live chat solutions that provides proactive chats and automatic targeted messages depending on where the visitor is or what they are doing at that very moment. 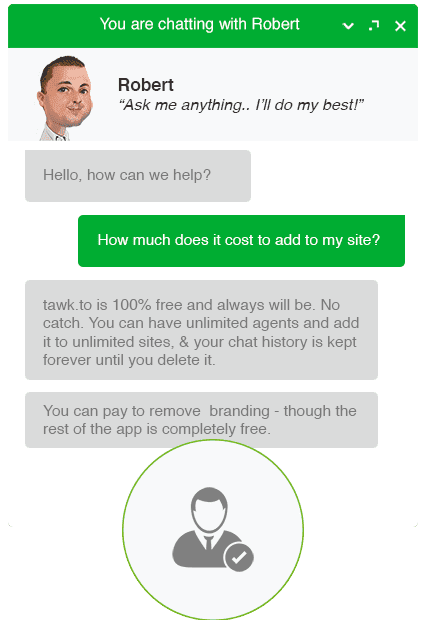 With over 1,000,000 businesses utilizing Tawk.to, it is absolutely safe to say they are a popular free Live Chat option. What is really unique about Tawk.to is not only their platform, but also the option to purchase agent subscriptions for $1 per agent, enabling organizations to outfit their business with a dedicated and remote support team. But when it comes to just their platform, Tawk.to manages to tick a lot of the right boxes, as well. With strong customization and white labeling, organizations can develop and design a chat widget to completely match their overall website design and feel. Unlike most free competitors, Tawk.to also provides multi-language support for 27 different languages, and some other interesting features, for example, geotracking and user blocking. A strong feature-set that sets the solution apart from other free options. This includes support for 27 languages, agent service, advanced customization options, geo-tracking and powerful proactive chats. Tawk.to places very little limitations on their platform, with unlimited agents, unlimited chats, unlimited history, and unlimited functionality. The only thing the platform is missing is native ticketing and a few features like pre-chat forms. While they do not offer a completely standalone Live Chat solution, HubSpot Conversations is still a very strong option for a free Live Chat platform. Live Chat is actually more of a feature included within their CRM and Marketing solutions, but these can be obtained by businesses with free plans and offer a complete Live Chat platform called HubSpot Conversations. Overall HubSpot Conversations has some strong functionality and provides organizations with the features they need, like chat triggers, file sharing, targeted messages, real-time visitor info, and even unlimited chats and agents. The only major downside is the inclusion of HubSpot Conversations in the provider’s other solutions, almost requiring organizations to invest deeper into the entire ecosystem. But if your business is willing to go full-on with HubSpot, their Conversations Live Chat platform is a good choice. Deep integration with existing HubSpot solutions and tools that enable organizations to leverage and take full advantage of these entire connected platforms, including CRM and Marketing tools. This gives HubSpot Conversations native ticketing. 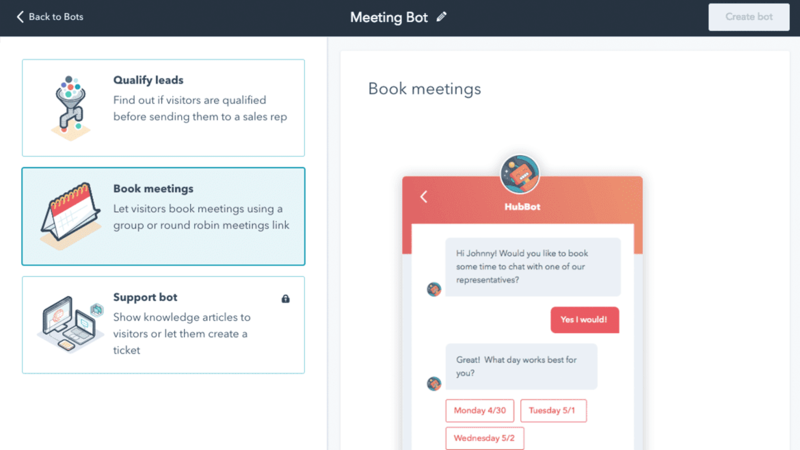 HubSpot provides a strong focus on chatbots for self-service, along with the integration into their inbox and CRM solutions. These chatbots can utilize context and information from databases and other resources, while interacting with customers and clients in real-time. The solution has very few limitations, with unlimited users, unlimited chats, and even an unlimited chat history. SmartSupp is another standalone Live Chat solution that offers businesses exactly what they need, without a lot of clutter or nonsense. While slightly slim on the customization options available for their free offering, SmartSupp provides organizations with an unlimited service with basic core functionality. In fact, SmartSupp is one of the few options on our list that enables organizations to input Live Chat onto an unlimited number of websites, or offer Live Chat for an unlimited number of departments. While functionality is more limited to only the most important features, unlimited usage alone makes SmartSupp a unique contender. SmartSupp is also known for their own top-quality support, providing your organization with a safety-net in case anything goes wrong. 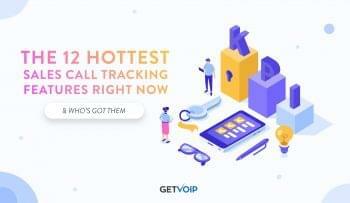 Upgrading to the advanced platform also includes some really unique features, like visitor recording, and the free plan is a great introduction to help your business decide if the investment is worth it. While functionality and customization are on the more basic side when compared to other free options, SmartSupp provides unlimited usage, unlimited agents, unlimited chats, and unlimited website support. SmartSupp has strong built-in support for their own users and customers, so your business will be in good hands if any trouble with the platform does arise. Very strong basic functionality with visitor block, visitor notes, chat transcripts, SSL encryption, sound and visual notifications, and more. By providing websites with a super simple way of conversing with their visitors, Chatra is aimed at helping organizations optimize their process and improve services. Chatra is actually a really strong platform for single users and small operations and includes some interesting dev and insight features. For example, Chatra’s free service includes Google Analytics integration, Chat Notes, Agent Profiles, multi-language support, a Developer API, and even supports usage on more than one website. The biggest limitation in their free offering, however, is going to be the single user, but unlimited chats and website support helps smooth that over. Chatra has a little bit of an odd balance of features, with some unique powerful tools, but lacks some more basic ones. 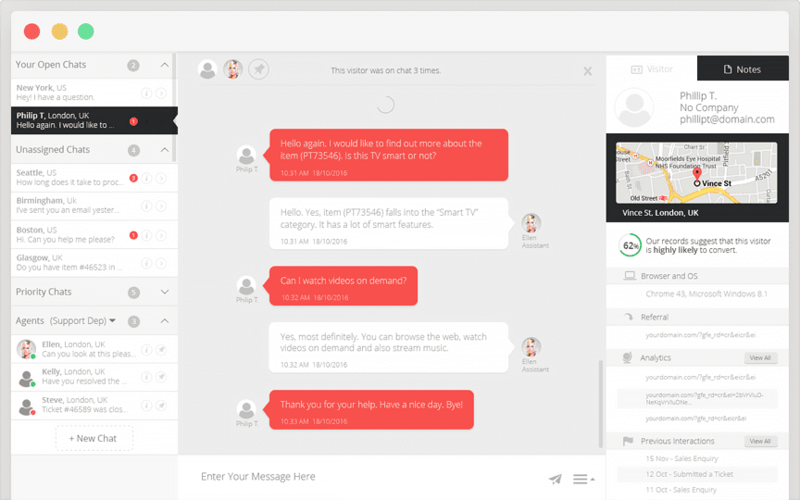 Chatra’s free offering does not include canned responses, chat triggers or file sharing, but does offer offline message forms and of course widget customization. These, however, can be found if your team decides to upgrade. A really strong platform for single-users or small operations, that do not need to support more than one agent. Chatra also fits into a unique niche of small operations that support multiple websites. While missing some functionality you would expect within their free plan, Chatra also includes other strong options — Developer API, google analytics integration, chat notes, agent profiles, and multi-language support. The lack of limitations on Chatra’s usage really helps make up for some of the missing functionalities, and is more about providing insight into a organization’s process and experience, and how to improve those specifically. As part of the complete Zoho platform, Zoho SalesIQ provides organizations with a complete platform to track and engage visitors. Their Live Chat functionality offers real time traffic monitoring, automated website visitor engagement, customizable chatbot, actionable analytics, and a prioritized list of website visitors. Since the Zoho SalesIQ platform is more than just Live Chat, users gain access to advanced lead scoring and visitor insight information, as well as native ticketing and a team inbox. Users can utilize these analytics to measure different metrics, gauge performance and coach agents in real-time. Overall Zoho SalesIQ provides more than just a free Live Chat software solution, and the real benefit is in gaining access to the entire platform. Of course, those that need just Live Chat might want to skip this option. Part of the proven Zoho platform which provides a proven track-record, well known support, and of course a strong feature set, especially for a free offering. Integrates deeply with the Zoho Desk solution to provide more advanced ticketing and help desk functionality, moving beyond just a reactive support tool. Investing in the Zoho ecosystem can prove to be a strong option to teams looking to combine ticketing/help desk as well as live chat for free. Much like with the other platform based options included on our list, the main benefit of Zendesk Chat is the entire platform and ecosystem that can come along with it. Overall the platform is known for not only covering a wide array of functionalities, but also its ability to integrate with a wide array of existing technologies like CRMs and web apps. While limited to just one user on the free plan, Zendesk Chat does provide organizations with unlimited chats, complete widgest customization, and necessary features including file sharing, pre-chat info forms, offline message forms, and chat notes. When combined with other Zendesk solutions, the real power of the platform shines. Users can add-on a built in CRM for native ticketing and much more. One of the biggest downsides of Zendesk Chat is that pesky one-user limitation, along with a one concurrent chat limitation. Complete and deep integration with the rest of the Zendesk portfolio, including CRM and ticketing solutions for a complete helpdesk platform. Strong functionality with file sharing, pre-chat information forms, offline message delivery and forms, a team inbox, and real-time visitor details. Zendesk has a well proven ecosystem, and provides best-in-class support for their clients. As a totally free, cloud-based Live Chat solution, Unbeatable comes with everything your team needs to handle multiple chat and support requests, rivaling some of the bigger-named competitors on our list. With unlimited user and unlimited chat support, Unbeatable can work for a large number of organizations, of all different sizes. Widget customization is included as expected, and the platform also provides deep functionality for targeted live chats and proactive messaging depending on visitor behavior and location within your organization’s website. Offline forms are great as well, and organizations can customize the messages that users see when the business is closed. Unbeatable also provides a complete view of every single visitor and customer to truly capture leads, along with in-depth insight into your team’s daily, weekly and monthly interactions. Deep insights with in-depth analytics and reporting that covers multiple time-frames from real-time to monthly reports. Understand how your agents are working to improve the process and customer experience. 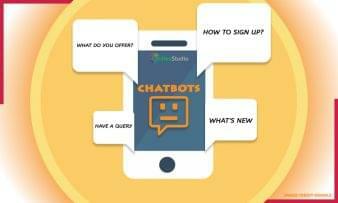 The fully customizable chatbot enables organizations to create a completely unique experience, tied in directly with their overall website design and feel. Can be paired with the free Unbeatable Ticketing to create a complete helpdesk solution. Jivo Chat places a very strong focus on providing the best user experience possible, but not only for the customers and clients looking to message your business. Jivo Chat also places a strong focus on the UX of the dashboard that agents are utilizing every day. By providing agents with a simple yet powerful dashboard, JivoChat is enabling these representatives to provide even better service, overall providing a better customer experience. 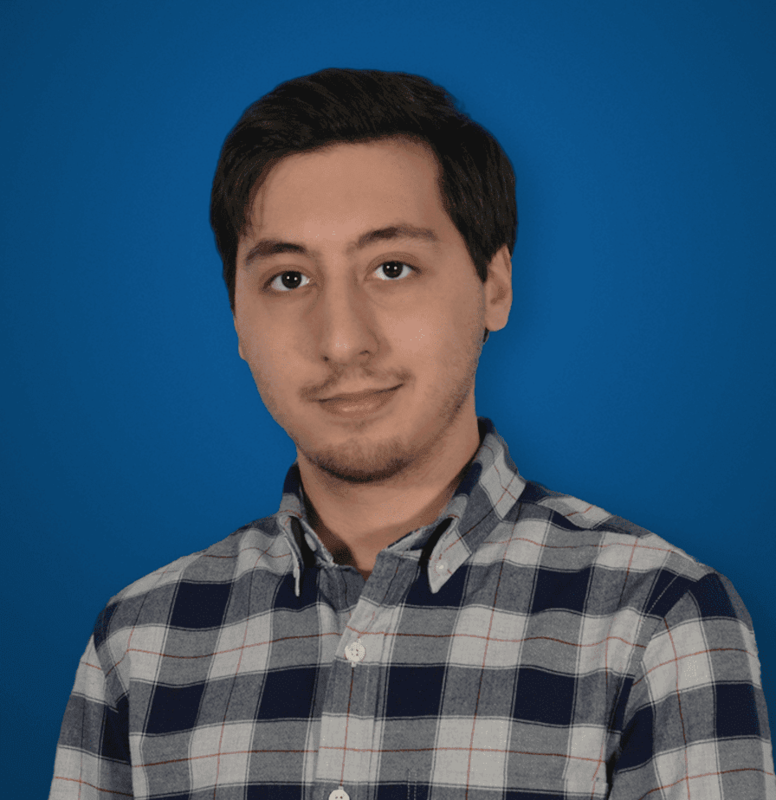 JivoChat does this by providing agents with unique hotkeys to control the application, color coding for different messages and features, a message preview, and deep CRM integrations. While there is a strong focus on the agent’s experience, JivoChat does miss out on a few expected features, for example no triggers on their free plan, no canned responses, and very limited visitor tracking. Upgrading to a paid plan expands this, but even the free plan gains support for mobile apps, websites and even Facebook Messenger. A strong focus is placed on the overall agent/representative’s user experience, including features like hotkeys, color coding, message preview, and CRM integrations. This all helps the agent provide a better experience for the client they are assisting. JiveChat has a big mobile focus for users as well, which of course includes native mobile apps, but also a mobile developer SDK to create a custom solution, and support for other tools like Facebook Messenger. The platform includes other strong features, even on their free plan, like support for 20 different languages, agent-to-agent chat and offline contact forms. Live Chat is one of the easiest and best ways that your business can improve the customer experience. By providing users with the ability to directly interact with a representative of your business, right inside your website, your organizations is empowering visitors and customers to find the support they need, when and how they need it. This level of customer experience is normally reserved for super expensive products and solutions, but contrary to popular belief free Live Chat software for businesses can offer this same level of functionality without breaking the bank. Chatra has a little bit of an odd balance of features, with some unique powerful tools, but lacks some more basic ones. 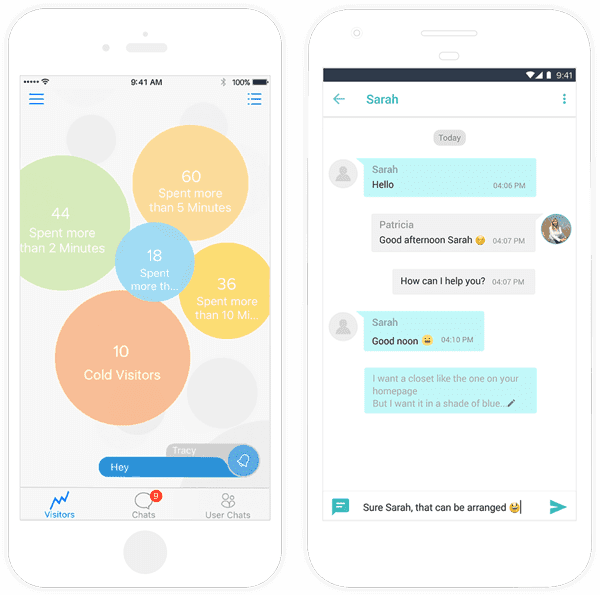 Chatra does not include canned responses, chat triggers or file sharing, but does offer offline message forms and of course widget customization.